What’s a seven-letter word for something that can cement relationships, link generations, and even soothe hurt feelings? Jewelry. The baubles we like best are the handmade jewelry pieces from artisans who care about craftsmanship, inspiration and meaning. It’s a tough job, trying on beautifully handcrafted jewelry to find the most original, unique jewelry, but someone’s got to do it. Industrial lockets are crafted from recycled steel auto parts and personalized with quirky graphics created by Cat Ivins and her indie artist collaborators. Buy Polarity interchangeable magnetic lockets here. 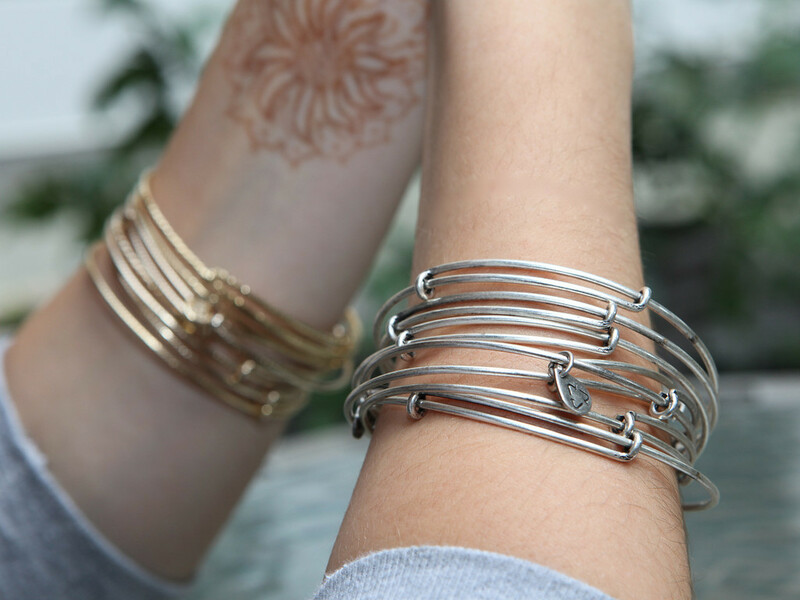 You'll look great and feel great in these expandable wire bangles from Alex and Ani. Each subtle charm, textured finish and beaded bangle is designed to inspire. Buy Alex and Ani expandable wire bangle bracelets here. The Cyclops wristwatch can be read with a relaxed kind of accuracy that brings a welcome balance to our hectic lives. Buy the Mr Jones Cyclops watch here. Jenna Scott’s hand-stitched leather wrap bracelets combine gemstones and impeccable finishing for a chic, bohemian look that reminds us of summer. Buy iheartjenna's multi wrap bracelets here. An ancient craft gets a modern makeover in these stunning filigree earrings. The lace-like design is contemporary, yet sustains China’s artisanal heritage. Buy Percent Jewelry's sterling silver filigree earrings here. Molly Brandt combines a simple Gore-Tex® cord and textured silver charms to create the perfect necklace for everyday wear. You won't want to take it off. Buy Beadorables black cord necklace with silver pendant here. Luxurious metal mesh truly feels like it’s melting into your skin, while making a hip statement with practically any outfit. Buy Sergio Guttierez' liquid metal mesh cuff bracelet here. These sculptural jewelry kits put you in the designer's seat. Just add on different hoops, loops and disks to create your own earrings and necklaces. Buy Switch Gear's interchangeable earring kit here. This little angel packs a lot of personality into a small package. Buy Roggio Silversmith's guardian angel necklace here. Use your creativity to design your own one-of-a-kind glass pendant without having to track down all of the supplies. Buy Annie Howes pendant kit here. See more fashion and handmade jewelry here.